Twitter is now one of the most well known and most used social networks on the planet. Businesses from every industry are starting to become engaged with it, and those who aren’t will have to soon, or become outdated. In the final part of this IntelligentHQ business guide to Twitter, we will look at the best ways for you to increase your businesses online profile using some more in-depth methods. twitaholic is a good program to use for finding out who has the most followers in popular cities like New York, London and Paris. 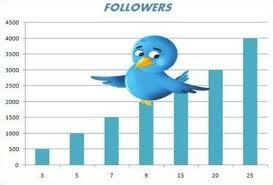 A way to get more followers is to follow the followers of big followers. These people will have amassed a large following and will most likely follow you back. As there is a follow limit on Twitter, it is only worth following users who are prepared to follow you back. Here are 4 unfollow apps that make it easier for you to gauge who is worth following and who is not. justunfollow – A simple and easy way to unfollow people. You can unfollow 50 users per day with a series of clicks. Twitcleaner – This program runs a quick and easy report, letting you know which users are spammers, inactive and various other criteria. Manageflitter – It sorts your followers into those who don’t follow back, those who tweet more than 5 times per day or less than once per day, those who have never tweeted, and those who don’t have a customized profile image. Tweepsync – This tool shows all the unfollowers and allows you to unfollow them in one go, 20 at a time. Generally speaking people wont be buying from you right off of a site like Twitter. You need to find ways to encourage them to visit your businesses website by providing them with something of value for free in exchange for email addresses. That way you have permission to keep in touch and build up a stronger relationship. When using these tools you will have to be careful that you don’t violate Twitters terms of service. Used incorrectly these programs can cause your account to be suspended if Twitter thinks you are using it to spam people. On Twitter you are generally considered to be more successful if you have a large amount of followers. This may not actually be the case, but if you have managed to get a large following it is a good idea to display this number on your blog or network. The large follow account will make you seem more interesting and attractive to other users. Buying Twitter followers is quite a controversial topic, and is generally looked down upon by most Twitter users. Basically, you pay a company a small fee and they generate a large amount of followers for you, enhancing the look of your account. This may seem impressive but having 10’000 Twitter followers is pretty useless if only a quarter of them are real people. The whole point of growing a large Twitter following is to communicate with people who are interested in your topic, your company and your brand. A Twitter following that ignores you is completely worthless. Running a contest on a social platform can be a great way to start interacting with people and gives you a way to draw attention to your company and brand. Before you decide to run a contest though, you must have a strategy in place, as getting no response could make you look bad! When running a contest, be sure to research how others have accomplished it and have a look at the Twitter guidelines for running a contest. Twitter has become such a popular social media platform that many people are looking for guides, articles or tips on how best to use it. If you have your own take on a method to help people with Twitter, why not write a guide or article on your blog or website, then tweet it. If people find it useful they may retweet it, which will in turn create more exposure for your company and more respect in the social media world. One way to attract more followers is to find another blogger in your niche and offer to write a guest blog post for them. Make sure you choose someone with a large number of followers and ask for promotion of your Twitter account in return. Doing this will allow your account to become more visible and encourage more users to follow you. Visit alexa.com to get an idea of how popular a website is. As you continue to promote your business and gain new followers, it’s important to keep track of all the methods you have used to increase your Twitter success. This way you will be able to see what has been working best for you and what hasn’t.